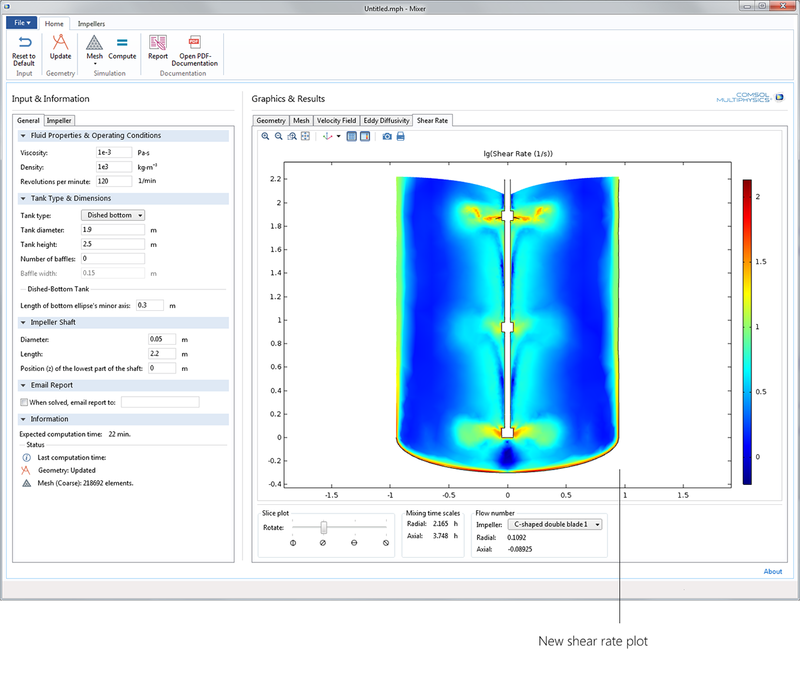 For users of the Mixer Module, COMSOL Multiphysics® version 5.2a brings updated parts in the Parts Library and an updated version of the Mixer app that demonstrates the new part features. Review the Mixer Module updates in more detail below. The axial, radial, and c-shaped impellers have been updated to include internal fluid-fluid control surfaces enclosing the impeller blades and hub. These can be used for calculations of the axial and radial flow numbers. The inclusion of upper, lower, and side control surfaces is enabled with a single Boolean parameter in the part. 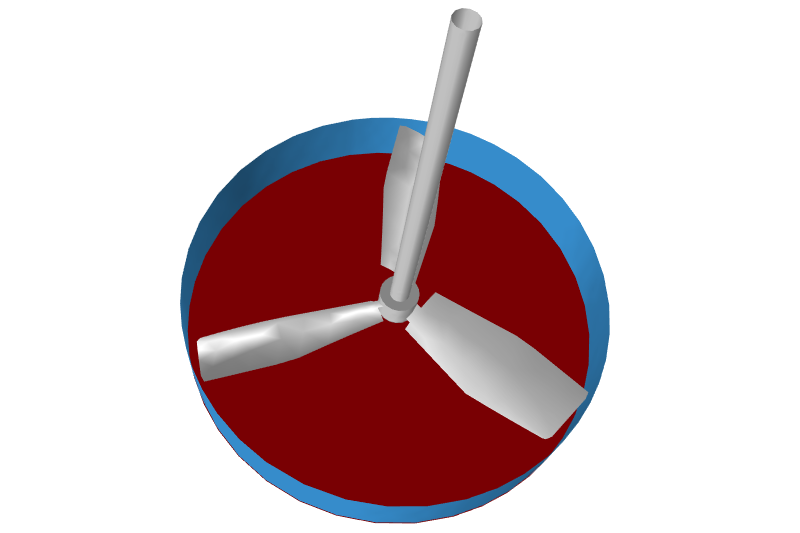 Lower (red) and side (blue) control surfaces for a hydrofoil impeller. 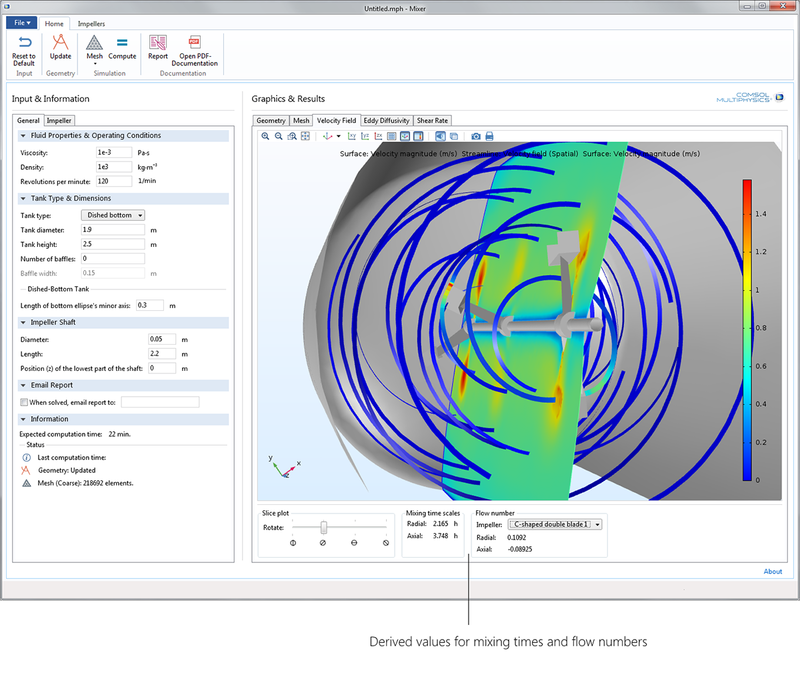 Simulation results obtained with the updated Mixer model embedded in the Mixer demo app. The Mixer app has been updated with a plot of the shear rate and evaluations of the radial and axial flow numbers for each impeller. The new shear-rate plot in the Mixer app allows for the design of mixing and is especially useful for processes involving living cells. A high shear rate may harm cells, for example in wine fermentation processes. 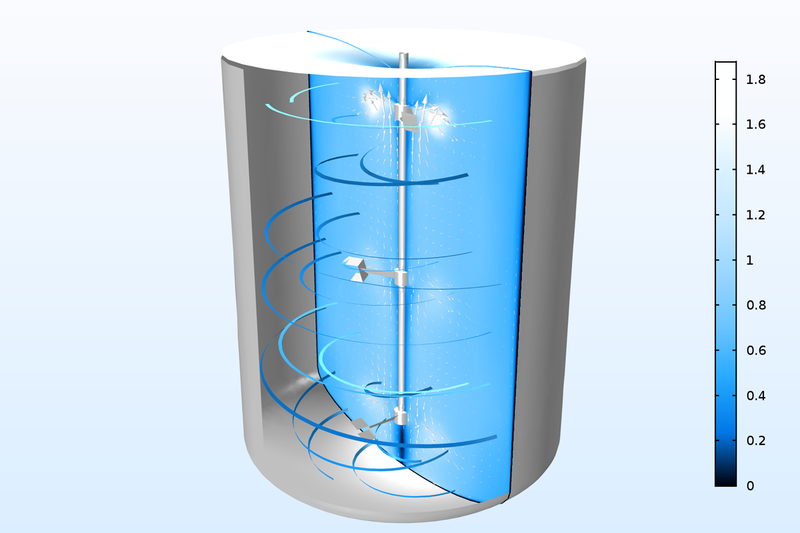 In the bulk solution, the shear rate is also a measure of the degree of mixing. Radial and axial flow numbers can now be evaluated for each impeller in the Mixer app, using the radial and axial control surfaces associated with the impeller parts.